Fortune Teller Ceramic Potion Bottle. Stands 7.75" tall. Artwork by Lisa Parker, featuring a cat sitting upon a stack of tomes. 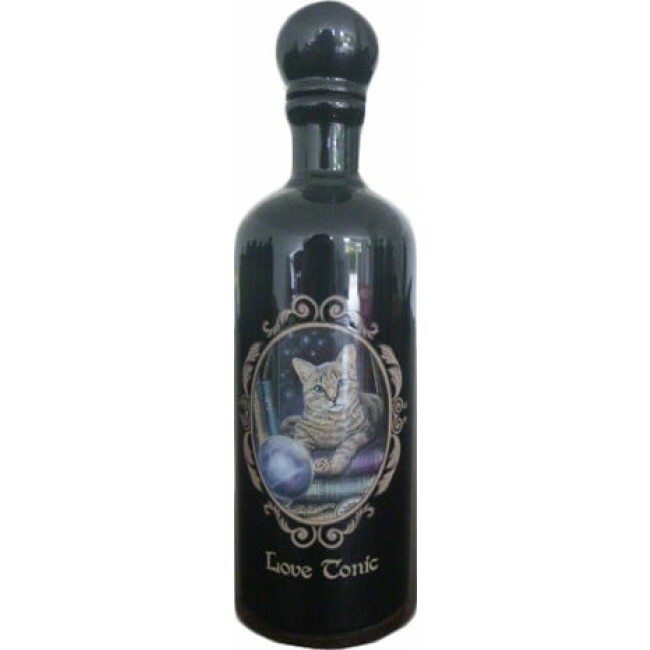 Call the power of love into your life, and store your very own love tonic in the Fortune Teller Ceramic Potion Bottle. Stands 7.75" tall. Artwork by Lisa Parker, featuring a cat sitting upon a stack of tomes.